Uga Bay offers you a variety of diverse private dining options otherwise not featured amongst the other restaurants in Pasikuda. Go on a culinary journey to stimulate all your senses at our exclusive restaurant which overlooks the gorgeous Pasikuda ocean. 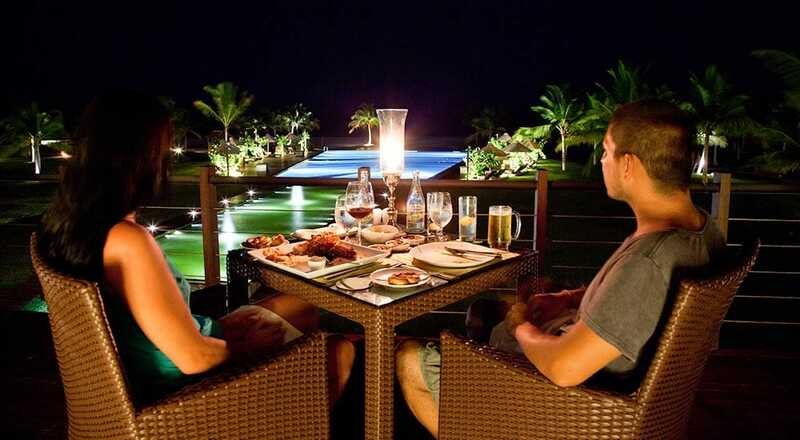 The resort also has several barbeque options: enjoy a seafood barbeque on the beach surrounded by towering palm trees or by our magnificent infinity pool. 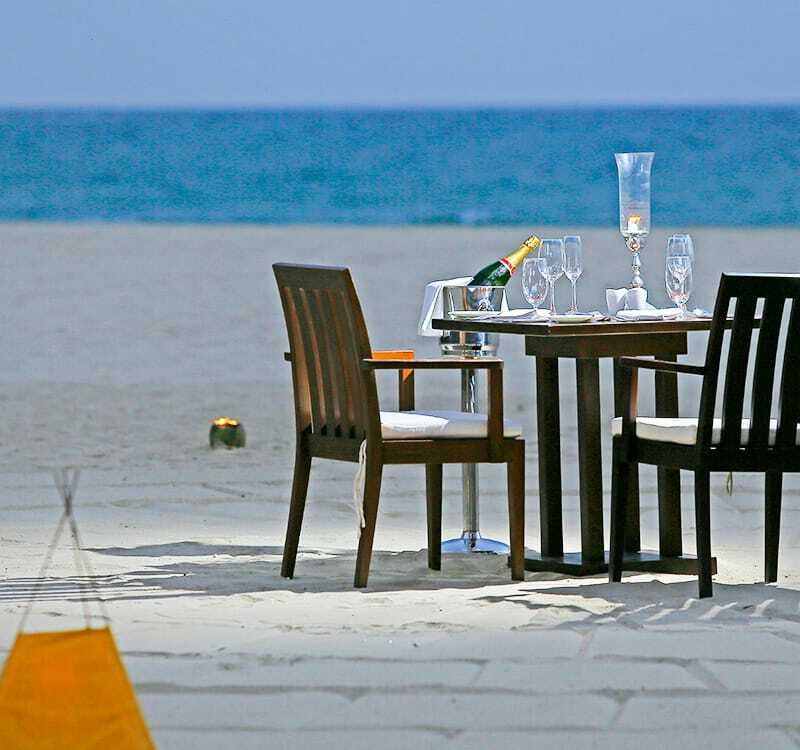 Check out our exclusive sand dining experience. Our team will elegantly craft your dining area entirely out of sand with only one piece of wood being used throughout its creation. 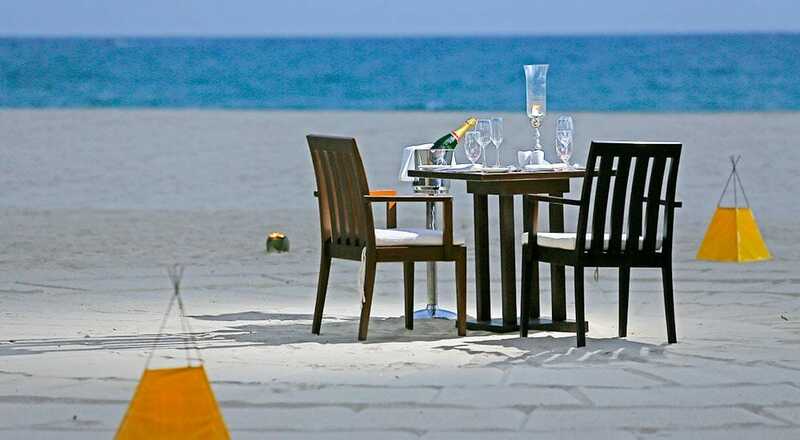 After you’re done dining under the stars, you could even have some childlike fun destroying your sand furniture – a truly novel experience. You can also order in some room service and enjoy a private dining experience indoors or on your private terrace/balcony. 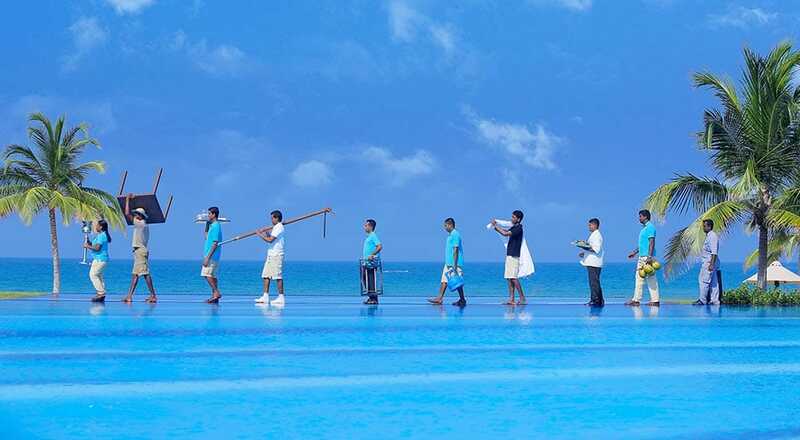 Our wide selection of dining choices and flexible times ensure tailor-made experiences to suit every mood and palate.